That’s me and the big fella, former Chargers O-lineman Mike Goff. 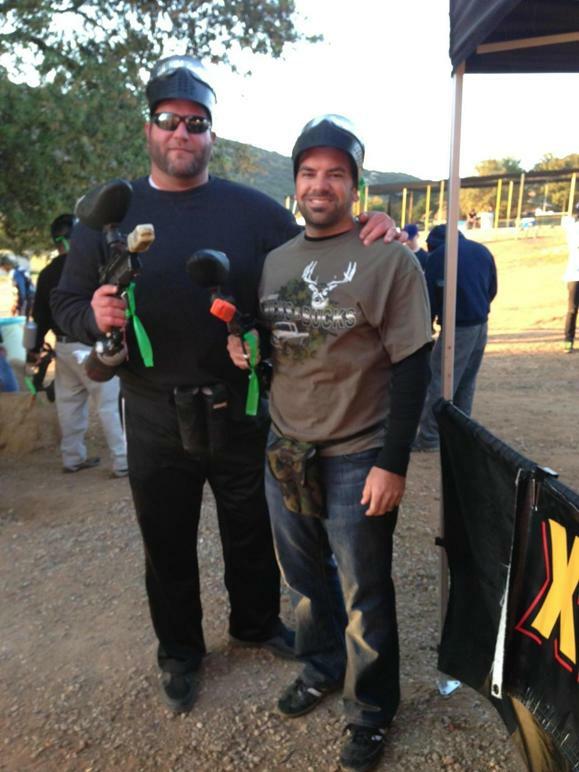 We drove out to friggin’ Lakeside to Paintball with The Drive guys from XTRA Sports 1360, and we dominated. Since it was in Lakeside, I had no choice but to wear my “Trucks & Bucks” t-shirt. A ton of 1360 listeners came out and it was pretty awesome. Goff and I were on Team Costa and we annihilated those clowns on Team Judson. I also got to spend the afternoon in studio with them for their show. A really good time. They know how to have fun on the radio… and the fun you hear on air is equally as fun in studio… probably better because all the off air shenanigans. Anyway, thanks to The Drive and thanks to XTRA Sports 1360 for asking me to be a part of it. 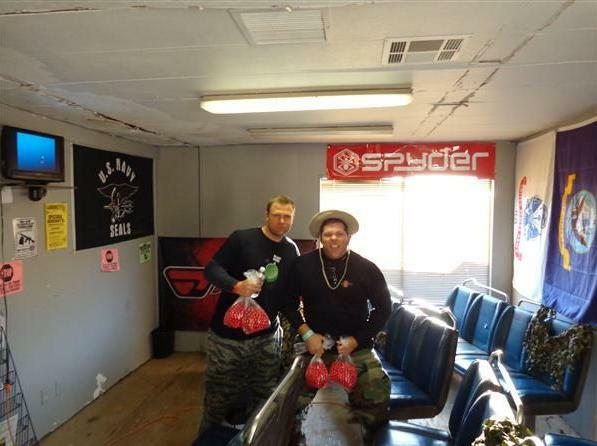 Oh, if you’ve never seen Judson and Costa… here they are prepping for paintball. Costa’s the one pretending his paintballs are his actual balls. Shocking, I know. This entry was posted in Media and tagged judson richards, mike costa, mike goff, XTRA Sports 1360. Bookmark the permalink.